13 oz. 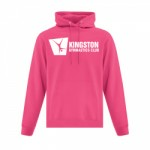 50/50 cotton/polyester fleece hoodie. 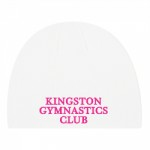 "Kingston Gymnastics Club" in white vinyl across centre chest. 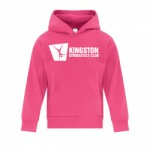 ORDER BY OCTOBER 26TH to receive in time for the parade. Acrylic knit board toque with pink embroidered text.